Two events at Candler School of Theology on Nov. 1 will address the future of interfaith engagement in an increasingly diverse and politically polarized American society. 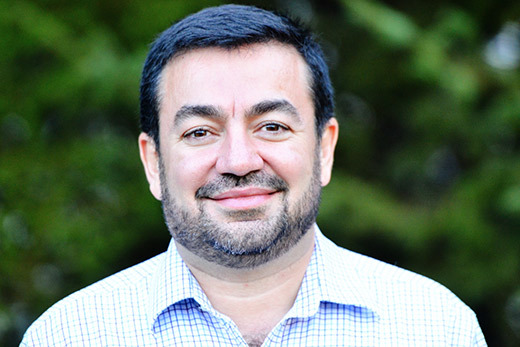 Imam Abdullah Antepli, chief representative of Muslim affairs at Duke University, will present a lunchtime lecture and a dinner workshop on interfaith leadership for the 21st century. Register by Oct. 25 at 12:00 p.m. for one or both events. Meals will be included, and kosher and halal options will be available. The events, co-sponsored by Candler and the Wilbur and Hilda Glenn Family Foundation, will explore the challenges and opportunities for interfaith initiatives in Atlanta and across the United States, and the steps that young people should take to develop enduring and meaningful multifaith relations. Antepli is the founder and executive board member of the Association of College Muslim Chaplains, and a board member of the Association for College and University Religious Affairs. He served as the first Muslim chaplain at both Wesleyan University and Duke University, and he teaches courses on Islam and Muslim cultures at Duke Divinity School. Register by October 25 at 12:00 p.m. for one or both events.